All Erection & Crane Rental has ordered 30 new Link-Belt cranes for delivery throughout 2014. 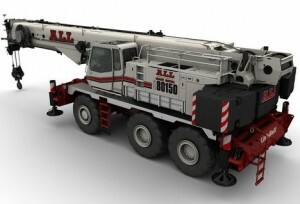 The deal includes four of the new 135 tonne RTC-80150 Series II Rough Terrain cranes. The 80150 is due for launch at Conexpo next month and features a 59.5 metre six section boom. Three HTC-8690 truck cranes, eight 218HSL and six 238HSL lattice boom crawler cranes, along with two TCC-750 and seven TCC-1100 telescopic crawler cranes have also been ordered.